This year to celebrate the birthday of the club we are going the extra mile with a fantastic extravaganza for all. 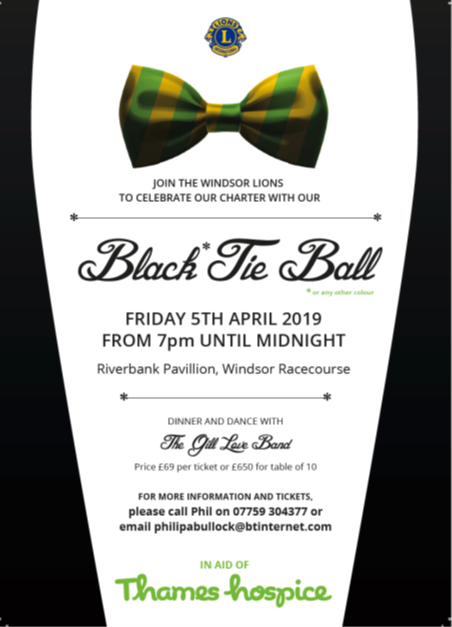 In the beautiful surroundings of Windsor Racecourse on the bank of the Thames we are supporting Thames Hospice from the funds of the evening to help them in their new centre development. Click your ticket option of single or table and then you can decide how many in your paypal cart afterwards.